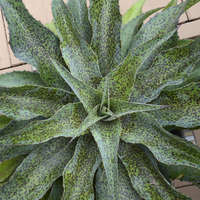 A stunning and exceptional variety in a color that you wouldn't expect to see in a Mangave! 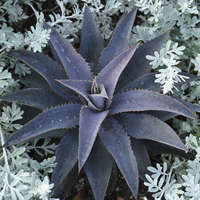 Just like the white fur of a silver fox, this succulent glows nearly white when you first glance at it. 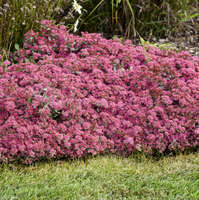 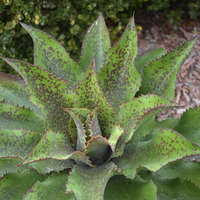 In reality, it's more of a light green covered with a thick waxy coating to give it that glowing color. 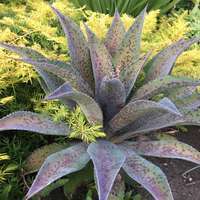 Light blue-purple spotting appears underneath the coating, but is mostly unnoticeable from a distance. 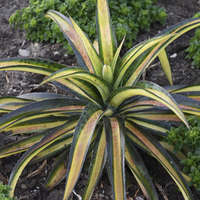 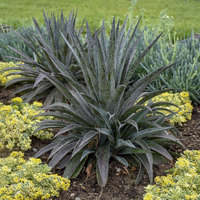 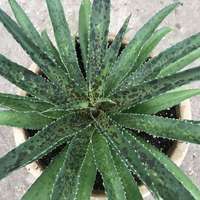 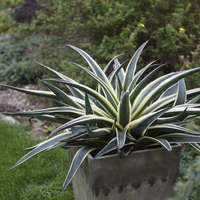 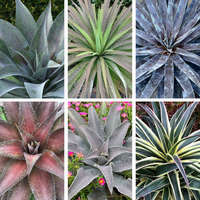 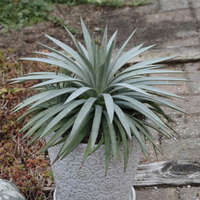 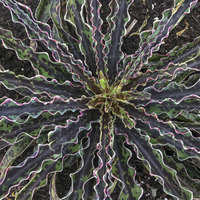 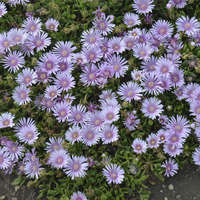 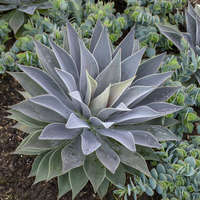 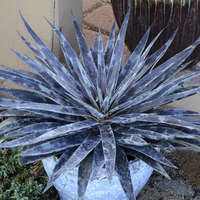 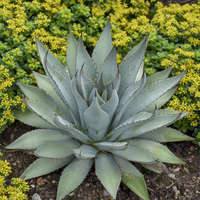 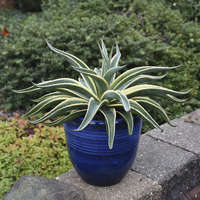 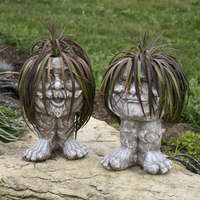 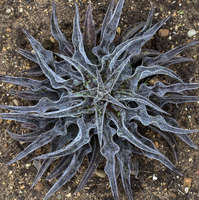 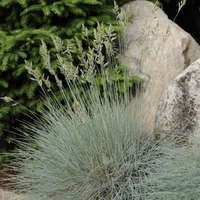 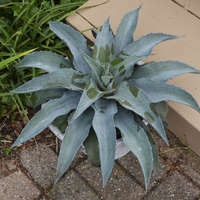 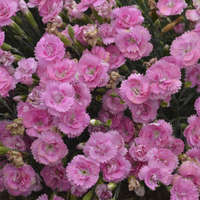 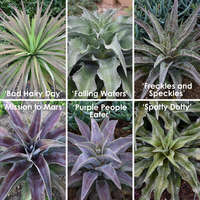 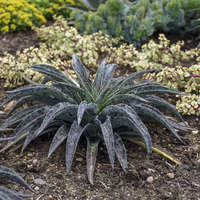 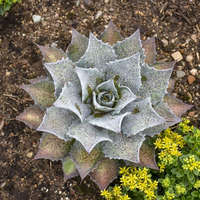 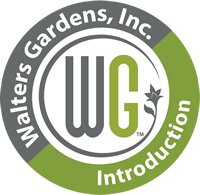 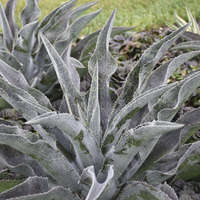 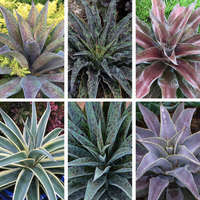 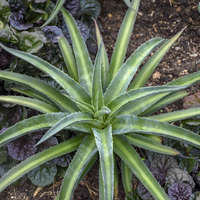 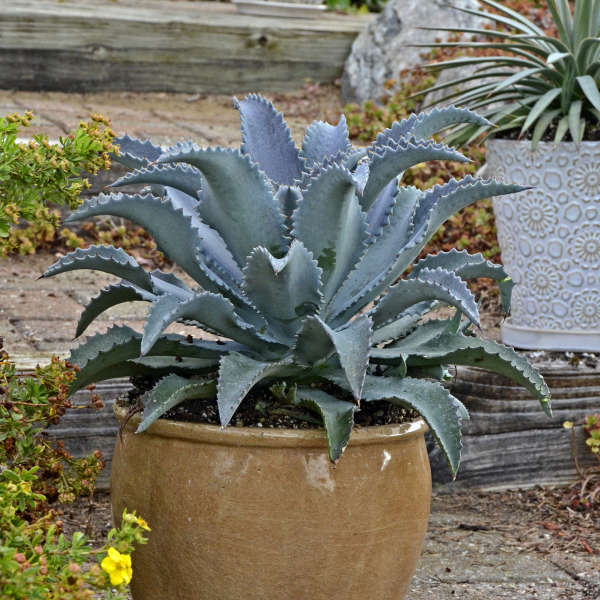 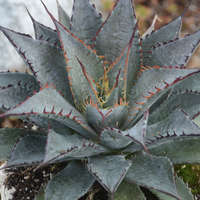 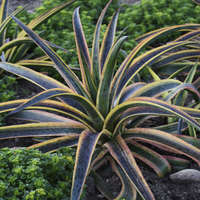 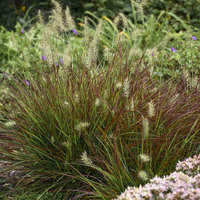 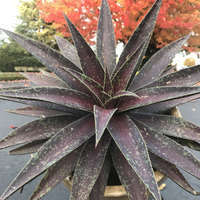 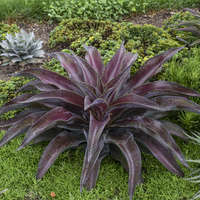 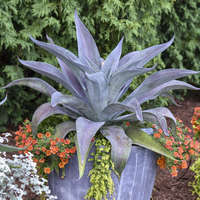 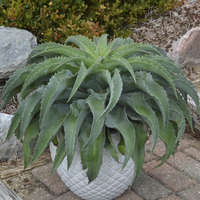 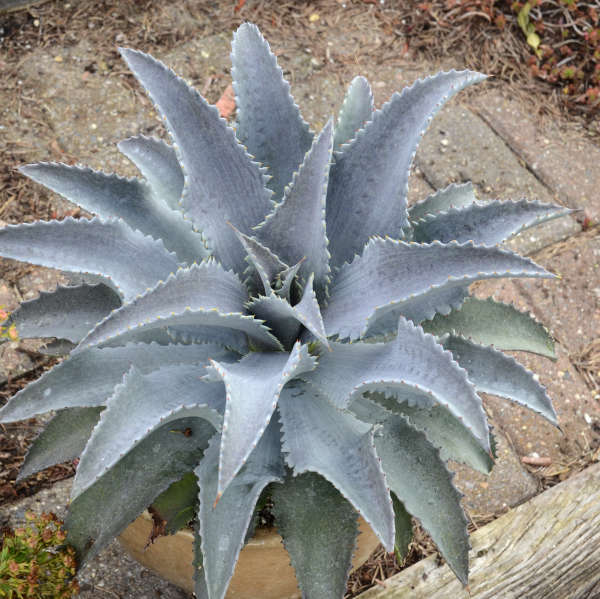 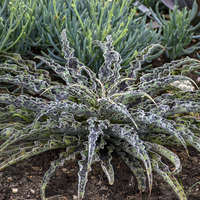 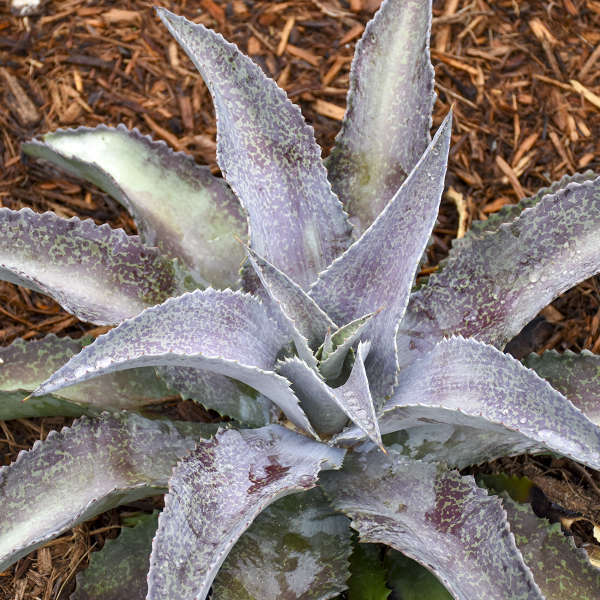 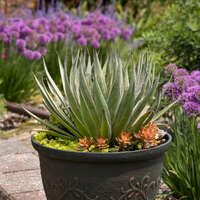 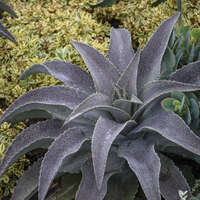 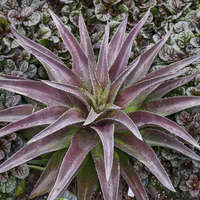 In addition to its wonderful color, 'Silver Fox' has a magnificent habit, with thick, arching leaves and defined marginal teeth.